Whether you are a student, looking for a job, or currently employed, chances are you are looking for a way to write an amazing resume. Building that perfect resume is a tool that you need to have in order to find your perfect job. Thankfully, we have a database that you can use to do just that. Cypress Resume helps you build your perfect resume. 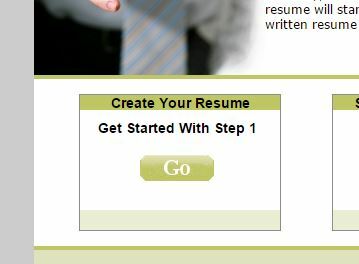 In the lower left hand corner is box labeled “Create Your Resume”, click on the “Go” button. The next page you find will ask for you to select the type of resume you would like to create. The first option is “Strictly Business”. This option allows you to create a resume that is visually appealing that stands out by using no bullets, only text. The second option is “Editor’s Choice”, which is a simple classic resume look. Once you have decided on the type of resume you would like to build, you move on to filling out your information. The first thing that you need to fill out is your name and contact information. This helps your future employer identify who’s resume it is and how to contact you to set up an interview. Afterwards you will be directed to fill out your employment history. The third step will be your education. The final part of this step is to fill out and special certifications and training you have had. Step 2 is to help you design your resume to fit into your ideal job (or the one you’re applying for). This will help Cypress Resume give you some suggestions to define you skills. Step 3 is where you actually get to select your skills. Cypress Resume will present you with skills that fit within your selected job. Look over all of your suggestions, and only pick ones that apply to you. 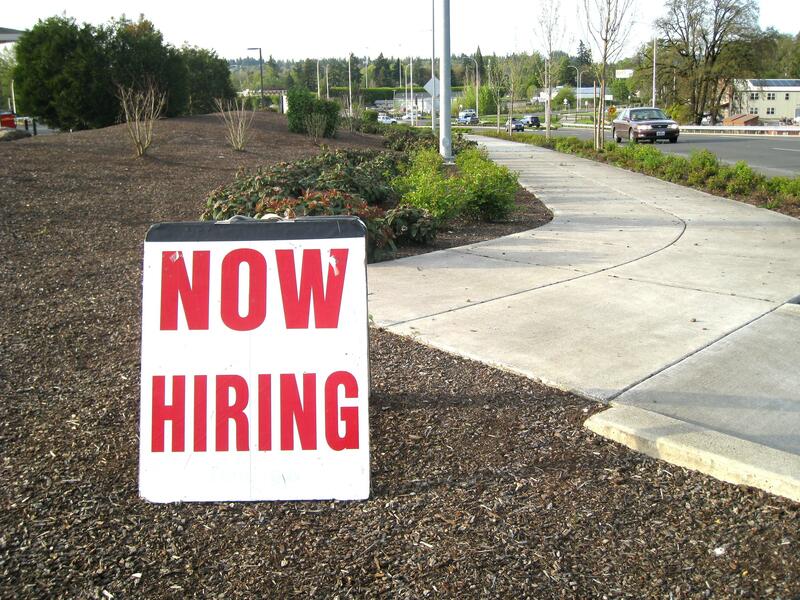 Cypress Resume is for more than just creating resumes. It can also create cover letters and reference sheets for you as well. Simply click the “Cover Letter” button, and it will use your resume to help build the perfect cover letter for you. The Reference Sheet is built by inputting your reference’s name and contact information. So take your new resume and go off and get a new job. If you used this service, we’d love to hear your story. Leave us a comment here below. This month our featured database is the last of our most recent additions, Legal Forms Library. Over the years many people have come into the library looking for a form, or what you need to get their legal actions taken care of. So we purchased this new resource that is free to you, so long as you have a library card. Legal Forms Library is full of thousands of forms that fit inside hundreds of different categories. So here is a quick walk through to help you get started using this resource. To get started,you will need to log into our catalog. 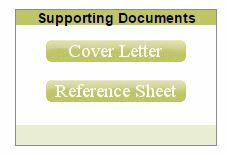 Under the “Electronic Resources Available to Logged-In Users” section, you will find the button for Legal Forms Library. Once you click, you will be taken to a brand new page where you will be. Given access to all of the legal forms. The first section you will probably notice is the most commonly searched for forms. Here you can quickly find forms to help with Divorce, Bankruptcy, Power of Attorney, Wills, Leases, and many more. Simply click on one of these buttons and you will see all the forms available to you (and are good for the state of Indiana). Underneath is a list of all categories of law that you can find forms for. 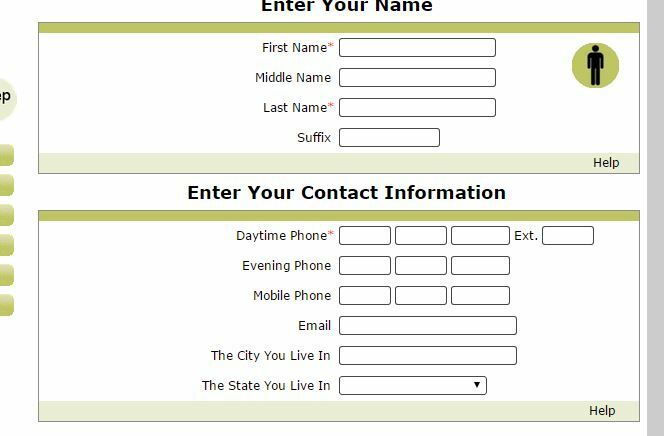 Once you find a form you would like, click on the link and you will be given a full description of the form along with the option of how you would like to download it. If you chose the “MS Word” option, a “.doc” file will download to your computer. You will be able to open this file in Microsoft Word and make any changes that you need to make. If you do not have Word (or another program that can read .doc files), you may chose to download the Rich Text version. This form will open up in any text editor on your computer (e.g. Notepad), so you can still make the changes you need. Legal Forms Library isn’t just for legal forms (despite the name). 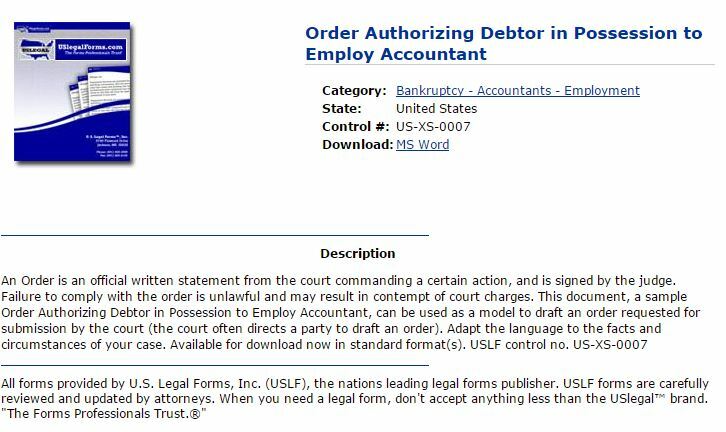 You can also find a few tools to help your own understanding of the law (and your newly downloaded form). Three buttons exist on the side. “Definitions” will help you learn what certain legal terms mean. 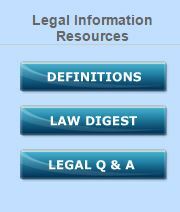 “Law Digest” will help you learn about important legal matters, and people of interest. “Legal Q&A” is full of sample questions and answers of law in various states. However, there is only so much you can do on your own. 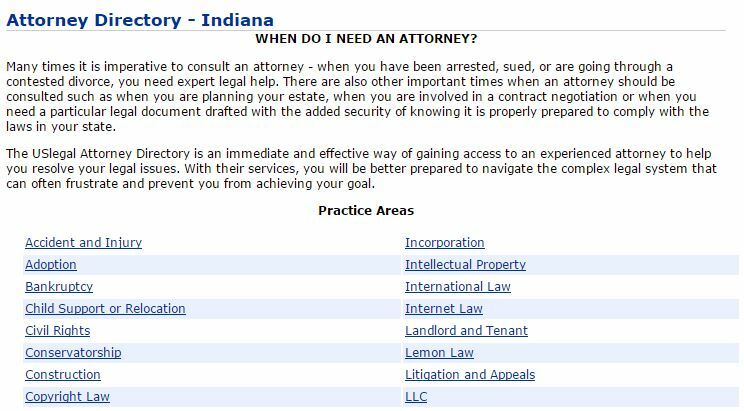 If you need legal counsel, there is a handy directory of attorneys built right into the database. Click the state you live in, and then select what kind of lawyer you need, and Legal Forms Library gives you a list of lawyers that can help you out. As always, if you have any question do not hesitate to ask. Leave them in the comments, or send us an email through our website. Every month, we attempt to highlight a different database you get access to with a library card from the Yorktown Public Library. Do you have antiques lying around at home that you are curious about their worth? Or are you trying to figure out prices for a garage sale? 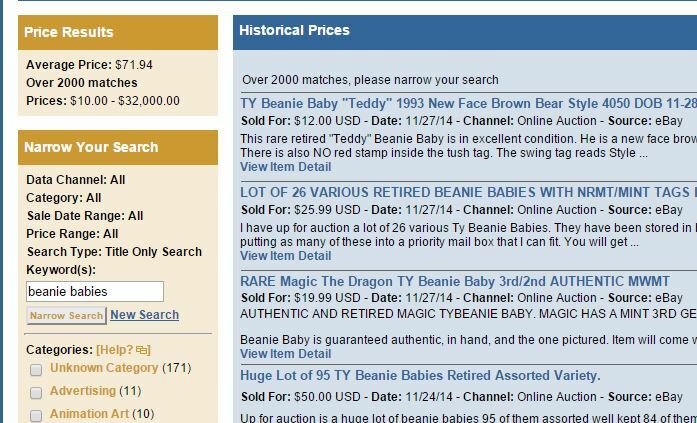 We recently acquired a new database called Price It! : Antiques & Collectibles. Price It! pulls in data from several different sources to insure that you get accurate information. You can see information from Ebay, GoAntiques, and Tias. 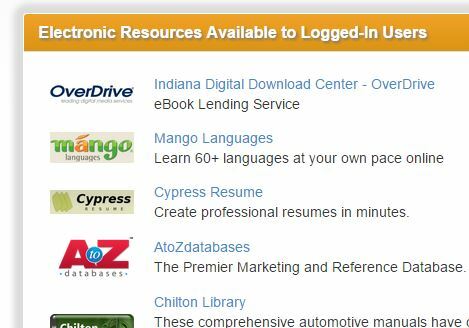 To access this database, all you have to do is log into our catalog page, then look at the “Electronic Resources to Logged-In Users” section. Under this heading is an icon for Price It!. Clicking this icon will open up another tab, and give you access. Simply search what you are looking for, and Price It! will pull up the results. However, Price It! isn’t just for pricing. It is also full of great articles to help you figure out how to fix and restore any of your antiques or collectibles. You can browse the articles by subject, or even search for something specific. As always, you can call or come into the Library for help. We hope that you can enjoy this resource that is available to you for FREE, with a library card.